Innovation and the U.S. Economy: How to Win When It's "Not Invented Here"
The cover of Vijay Vaitheeswaran's "Need, Speed, and Greed." There is a reassuring notion one hears a lot about the U.S. economy--that for all the signs of competitive weakness, at least we are still the world's leader in innovation. There remains a certain, well-deserved satisfaction in watching the latest iPads fly off the store shelves and realizing that, while they may be built abroad, at least they were designed here. Extrapolating from this success, much of the discussion around "innovation policy" is about figuring out how public policy can help the U.S. maintain its innovation lead--through greater government funding of R&D, making permanent the research tax credit, reforming patent laws, and improving education and immigration policies. But last week, I hosted at the Council on Foreign Relations Vijay Vaitheeswaran, a longtime Economist correspondent who has worked in many different countries, and is currently the magazine's China Business Editor. 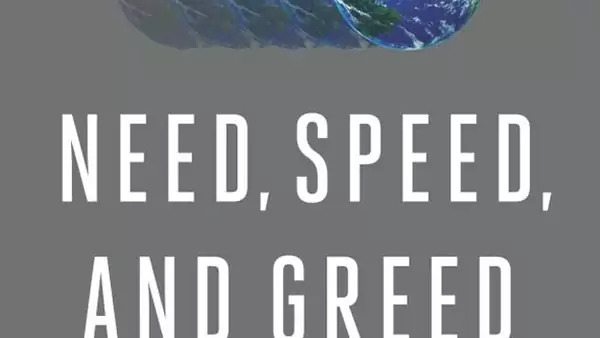 His new book, Need, Speed and Greed, has got me rethinking the wisdom of this approach to innovation policy. It’s not that any of these are bad policies, but rather that they may be focused on achieving the wrong outcome – namely, ensuring that big innovations come from within U.S. borders. The conclusion from his book is that, like so much of the economy, innovation is becoming globalized and democratized, and companies (and countries) that fail to recognize this will simply be left behind. The old model was one in which innovative products arose out of research either in corporate labs (think Bell Labs or the General Electric Research Laboratory in Schenectady) or in big research universities. While these remain extremely important, the new model also involves smaller research facilities spread around the world, and thousands of individuals connected only through the Internet. The barriers to entry are falling; we know from Facebook, for example, that small-scale ideas can quickly become global. The extraordinary variety of individuals and institutions now involved in innovation permits far more experimentation and opens the door to genuinely new ways of thinking. But it also means that it is much harder to control where innovation occurs. The benefits for the U.S. economy are potentially enormous. No sector, for example, exerts a greater drag on U.S. growth than health care, which is afflicted by rising costs and little or no productivity gains. In his chapter on "frugal innovation," Vaitheeswaran looks at how China and India are developing much cheaper health care technologies that are nearly as good as those available in western hospitals, but for a small fraction of the cost. Bringing those innovations to the U.S. market could transform a sector that makes up nearly a fifth of the economy--and the economic gains to the United States would be huge regardless of where those innovations originated. Similarly, producing in and for overseas markets can generate new ideas that add value not only in those markets but back home. As an example, Vaitheeswaran says, high-end consumers in China have become the most demanding market for BMW’s luxury automobiles, forcing design improvements that also help in other markets. The lesson the book teaches is that innovation is not a zero-sum game. While the United States should, and will, remain a major center of innovation, it is now a genuinely global activity. And while companies need to think carefully about where and how they share ideas, there are few advantages, and many potential costs, from trying to hoard ideas. While many innovative products will continue to move from the United States to global markets, increasingly there will be breakthroughs abroad that must be imported in ways that can be both profitable for companies and beneficial for the U.S. economy. As he writes: “The upshot of this exciting move towards openness is that researchers can no longer ignore ideas that are ‘not invented here.' Managers need to focus on extracting value from ideas, wherever they come from.” A must read.